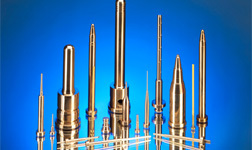 Choice Mold Components manufactures a variety of custom tooling for plastic molds and die-cast dies. Fast quote service with the exact pricing ensures that you will receive the info you need in as soon as possible. Our experienced staff is ready to assist you with any technical question. You may also take advantage of our custom templates to make ordering even smoother. Choice’s vast supply of standard products is on hand for fast special alterations. 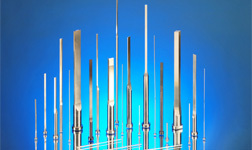 Choice Blades are manufactured with a one piece design from High Chromium M-2 steel to resist corrosion, galling, and pitting. 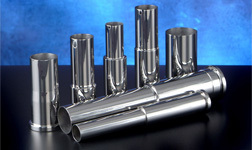 Choice custom ejector sleeve ranging from straight, step, multiple step, or thin walled sleeves. Choice Formed Core Pins are manufactured in a variety of steels and hardness range – the most popular being M-2 high speed steel. 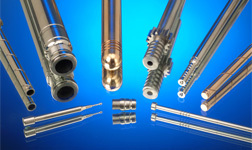 Choice Water Cooled Cores are manufactured to customer specifications, including coolant hole diameters and are machined concentric to ensure even cooling and faster machine cycle times.